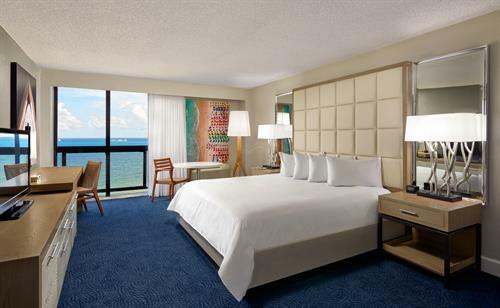 Discover a beachfront getaway at Bahia Mar Fort Lauderdale Beach – a DoubleTree by Hilton, the iconic centerpiece of Fort Lauderdale Beach. 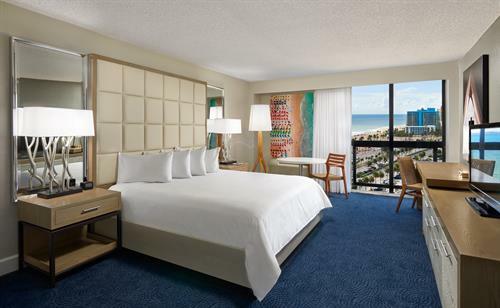 Situated on 40 acres, the reimagined and nautically designed hotel is nestled between the Intracoastal Waterway and the Atlantic Ocean. 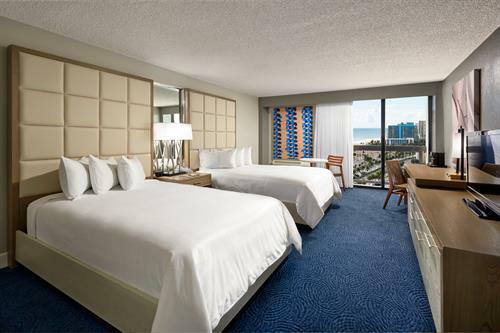 The property consists of 296 guest rooms, 25,000 sq. 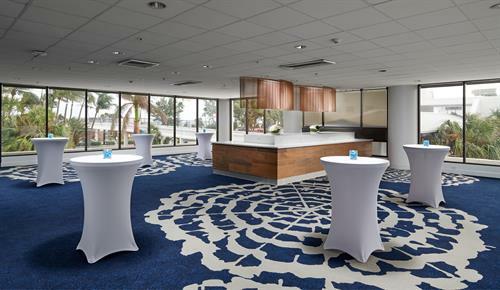 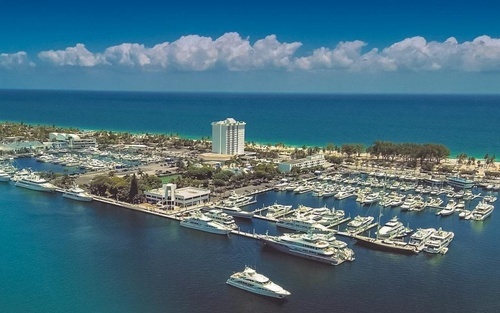 ft. of flexible meeting space and a 250-slip marina that accommodates 100 mega-yachts, offers 3,000 ft. of parallel dockage and boasts more than four miles of floating docks. 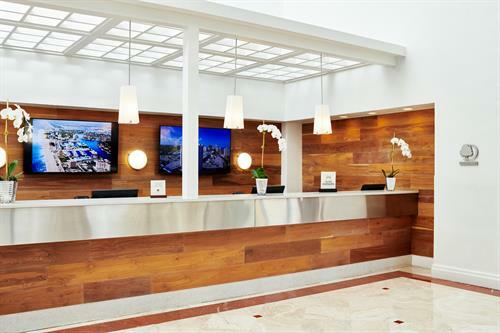 The hotel features an array of amenities and services including a swimming pool, tennis courts, fitness center, onsite shops, a world-class Marina and Yachting center, as well as our signature warm DoubleTree chocolate chip cookie, presented to you upon arrival. 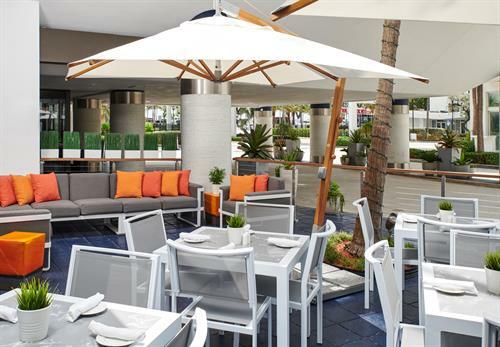 Guests can experience indoor and outdoor dining without leaving the hotel at The Market, Breezes or Waves Rooftop Pool Bar & Grill. 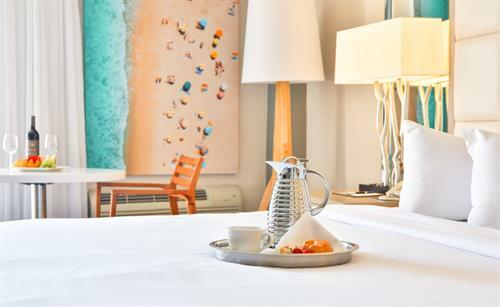 The hotel offers a selection of onsite, fun-filled activities for everyone in the family to enjoy including water sports, sightseeing cruises, snorkeling, scuba excursions and more. 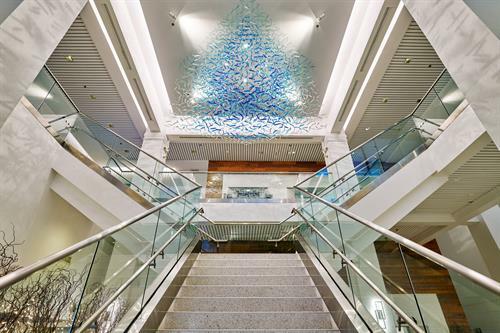 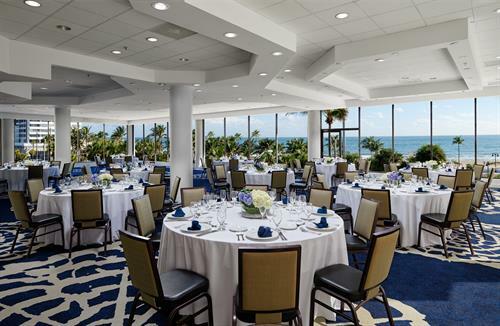 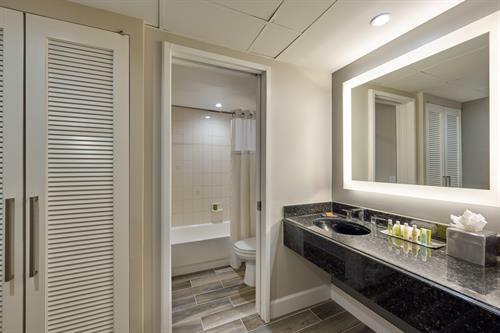 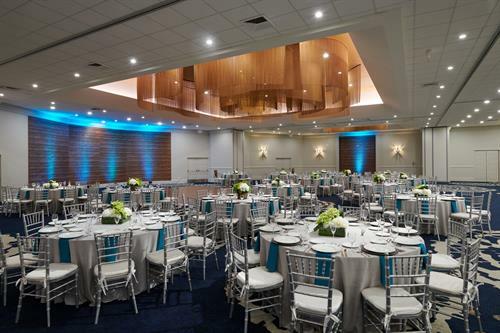 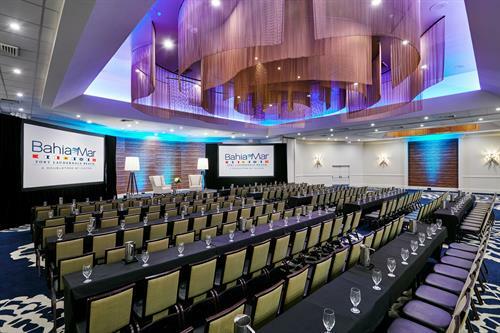 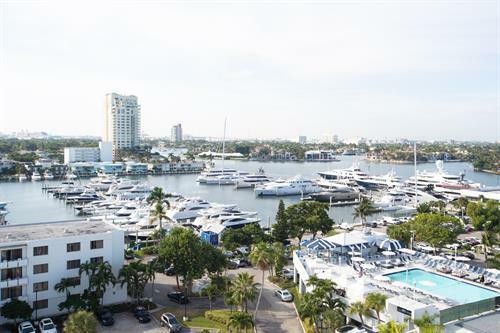 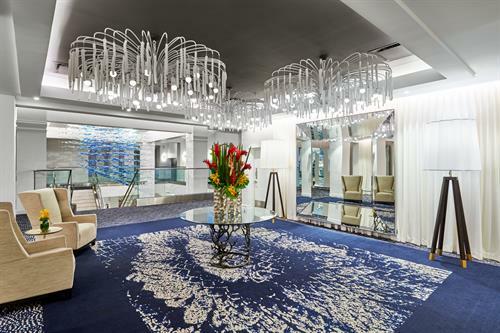 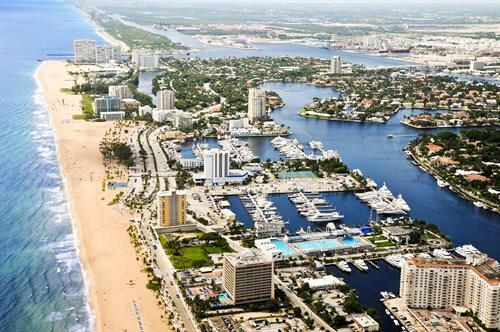 Bahia Mar Fort Lauderdale Beach – a DoubleTree by Hilton has been home to a variety of gatherings, from stylish weddings and corporate meetings to renowned events, such as the Fort Lauderdale International Boat Show and Tortuga Music Festival. 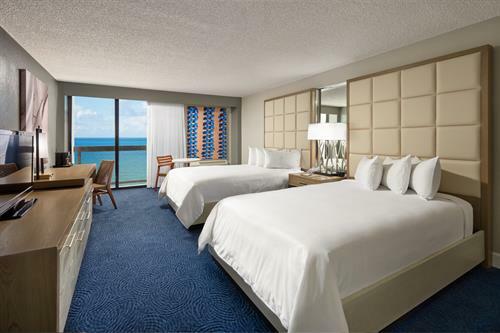 The hotel is conveniently located directly across from the white sandy beach, minutes from Fort Lauderdale/Hollywood International Airport (FLL), the Broward County Convention Center and Port Everglades Cruise Terminal, and two miles from Las Olas Boulevard entertainment district.